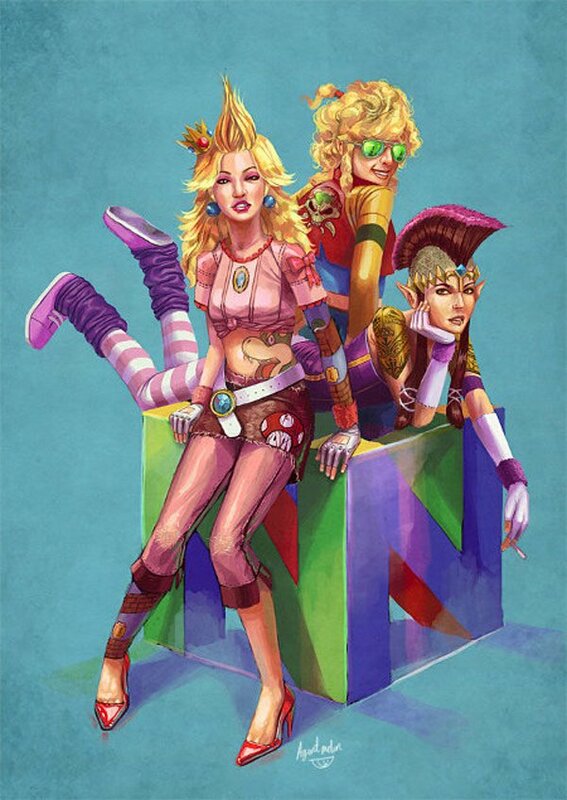 July 15th, 2009 by Alisha K.
Samus Aran has always been bad, but now she’s not alone amongst Nintendo’s top tier ladies. 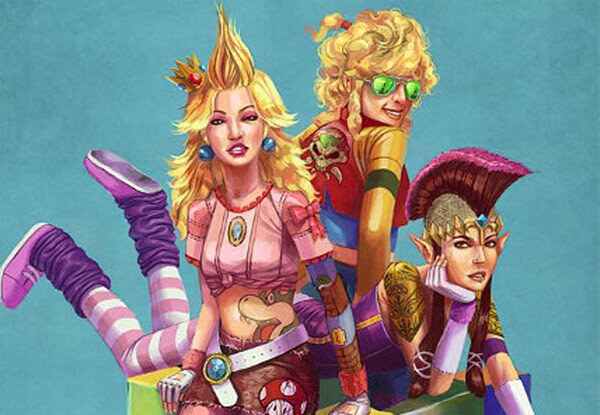 In this rendering by Assim Heetun, Princess Zelda, Princess Peach, and Samus have gone over the edge. They haven’t gone wild… they’ve gone punk warrior! Gotta love the details here, like Peach’s crown clinging to her head and the Bowser tattoo. I particularly love Zelda’s crest. I think that, as world-shifting fanart goes, this is pretty good–Heetun managed to capture their girliness and cute sexiness, always present in Nintendo’s games, and translate it to something different. Heetun has several similar works available on his blog, linked above.